Like radar... but better for some things, not least because cheaper! Imagine bouncing a burst of laser light off of something, and measuring the time it takes for the "echo" to come back. And from that tiny time interval working out the distance to the object. You've imagined lidar! 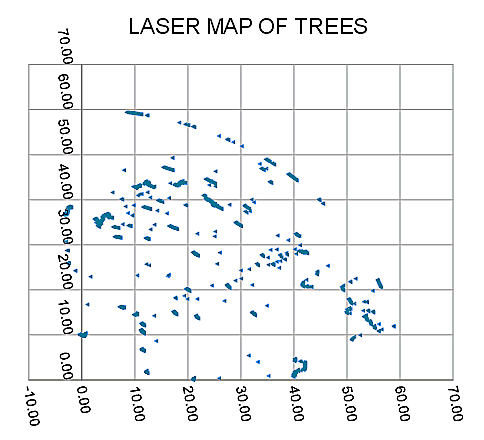 (Here's a link to the Wikipedia lidar article, which will open in a new tab.) With a little ingenuity, it can be used to create detailed maps of your immediate vicinity. What's one cost? Entry level sensors are available at $90. 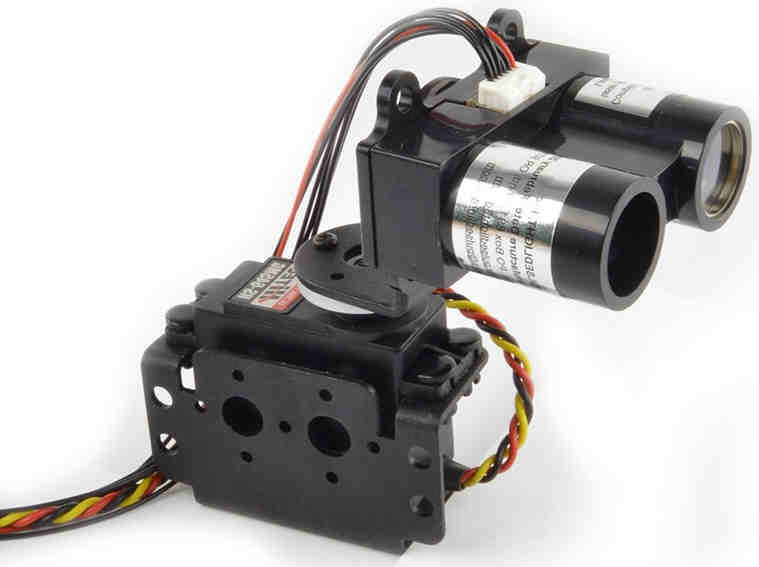 Mount one on top of a stepper motor or servo motor, as seen in Robotshop.com's image to the left, and, by sweeping an arc, taking multiple readings along the way, you can build up a map of what is in the plane that you swept with the lidar beam. Admittedly, he used a $400 module, but it operated on exactly the same principles. The $89 module (below) will create the same sort of maps, although it only has a range of 20m instead of the 60m range in the demonstrator above. And it might miss some of the thinner trees. Seems like too much fun! I think it would be cool to "play" with one of these. Of course, that would mean not spending the day writing stuff like this for you. Facebook "Likes", etc, appreciated.